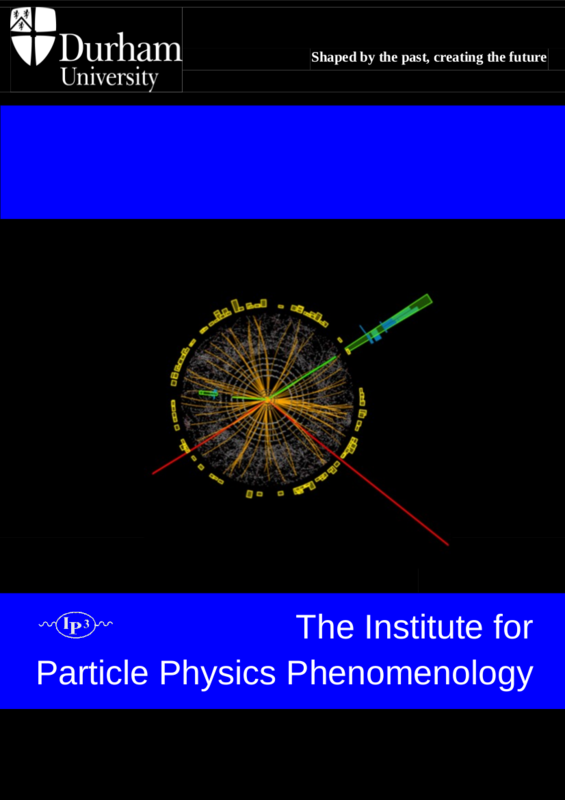 The Institute for Particle Physics Phenomenology (IPPP) is a leading international centre for research in particle physics phenomenology - the bridge between theory and experiment in the study of the tiny building blocks of all matter in the universe and of the fundamental forces that operate between them. Our research addresses what happens when elementary particles are smashed into each other at very high energies and we provide the theory and analysis relevant to experiments at the Large Hadron Collider (LHC) — the world's largest particle accelerator which discovered the Higgs boson. We are also working on the ambitious quest of identifying, predicting and studying physics scenarios beyond the Standard Model. This quest is closely related with the mysteries surrounding antimatter and dark matter, the possibility of supersymmetry, new fundamental forces and even the very modifications of the structure of space-time at very high energies. The IPPP is a joint venture of Durham University and the UK Science and Technology Facilities Council (STFC). Our activities are overseen by an international Steering Committee which meets every six months to review our research, workshop programme and our progress against our objectives. The IPPP forms part of the Ogden Centre for Fundamental Physics which was officially opened by the Prime Minister, Tony Blair on 18th October 2002. IPPP is also part of the Centre for Particle Theory in Durham, based jointly in the Departments of Physics and Mathematical Sciences. The IPPP has grown enormously from its foundation in 2000 and now has 94 members - academic staff, research staff, postgraduate students and support staff. We are continually looking to recruit new members - please see our web page for current openings. We are particularly proud of our outstanding students and postdocs who have moved on to positions elsewhere.